Learning how to read and interpret facial expressions and body language is a important social skill. From the very get go, babies begin to look at faces. Did you know that a baby can only see about 30cm in front of them? Coincidentally, that is also the distance from a mother’s breast (where little bubba would be nursing) to their face. Pretty cool isn’t it? 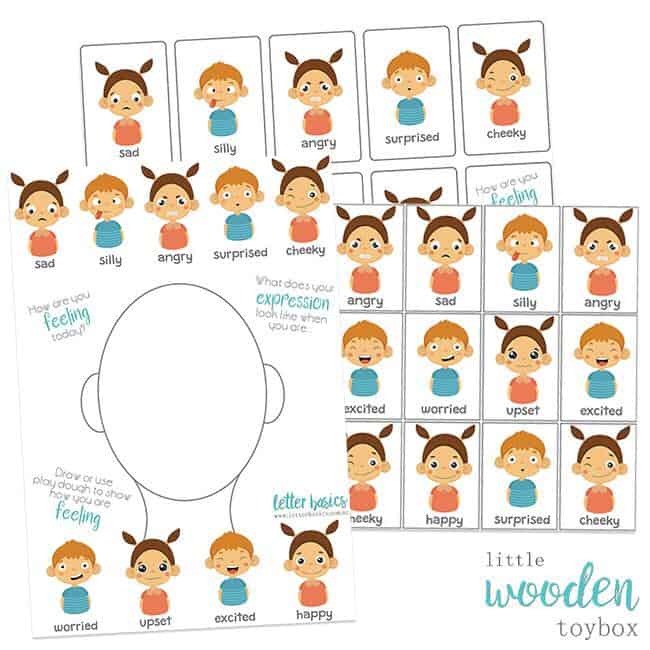 As our babies grow into toddlers and then toddlers into preschoolers, there understanding of emotions grows with them. 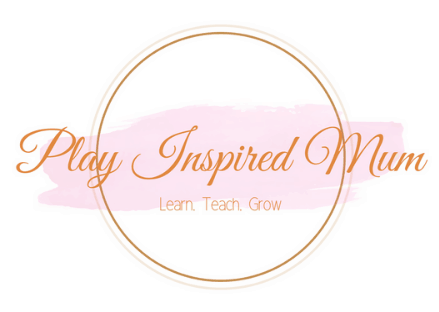 What better way to encourage this than through play! I have been meaning to make ‘Emotion Stones’ for ages and having seen some on social media just the other day, my palms have been itching to get started. 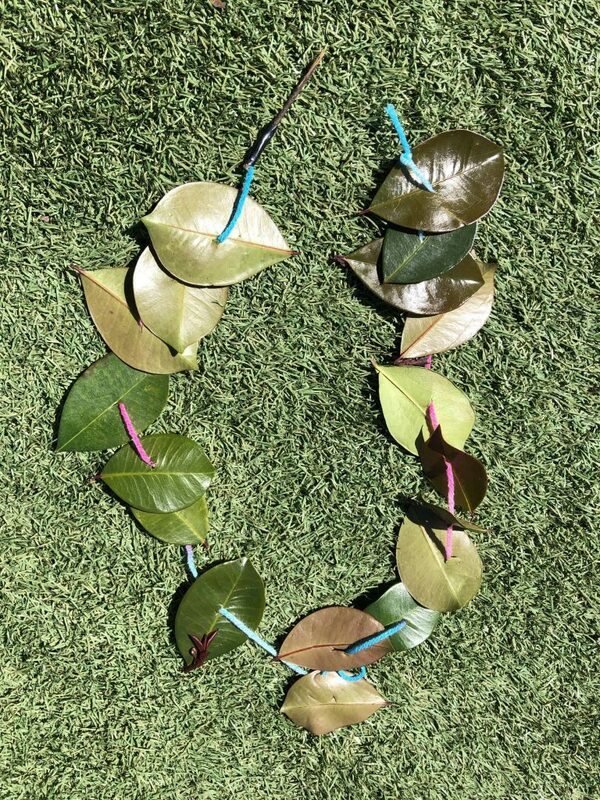 With our play theme based around emotions and feelings this week, I really, really wanted to make them however we are full of a nasty cold so a visit to Bunnings to get the rocks was not on the cards. Thinking of the resources we already had in our craft cupboard, giant popsticks jumped into my mind! Perfect! Once Miss 19m was having her nap, Miss 4 and I armed ourselves with some sharpies and got busy. 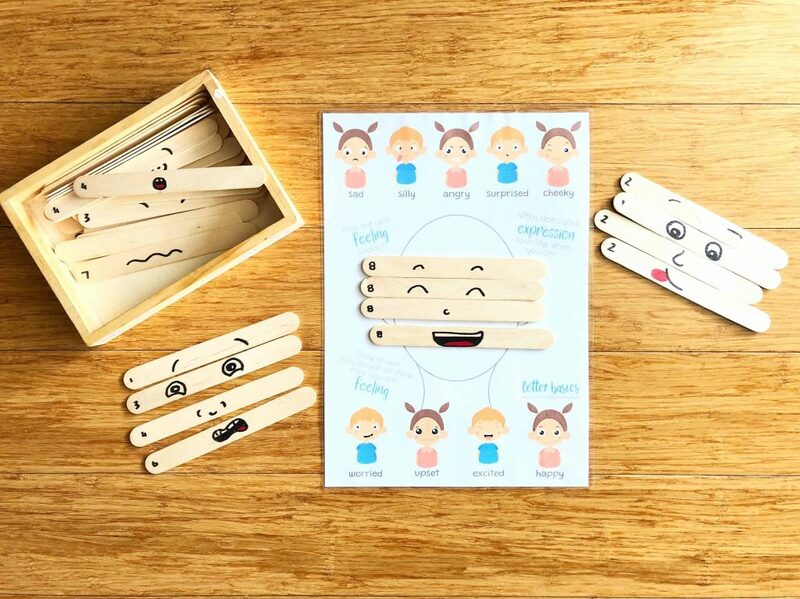 Within no time we had nine different emotions each summarised on a set of 4 popsticks. Miss 4 laid them out in their sets before I freelanced and made my own by combining a couple of faces. 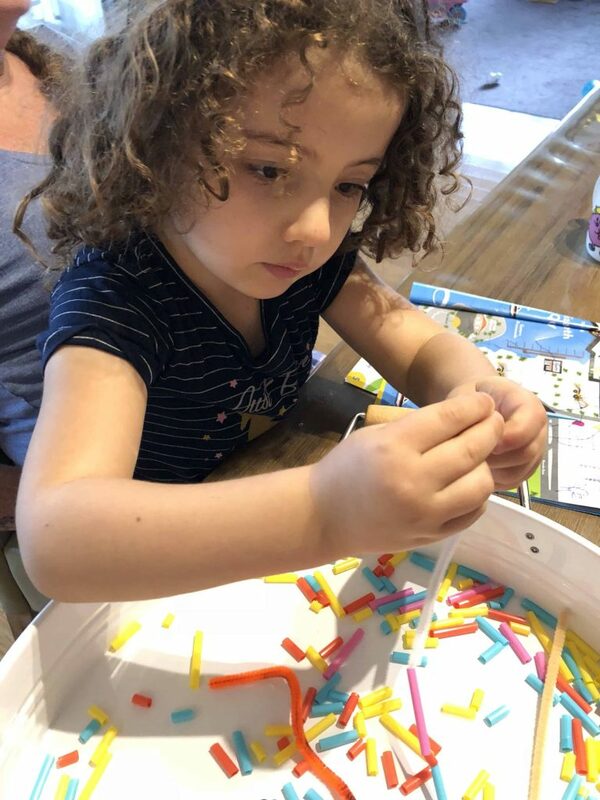 She loved it and was proud to be able to name them using the Emotions Activity Sheet as a guide. After a few freelance faces made, she got really excited! She asked me to sit on the floor and ran through the. Rules of a ‘new’ game she had thought of. It turned out that her little game was a variation of the popular game, Snap. She divided the popsticks into two piles, one for herself and then one for me. We then took alternate turns placing a popstick between us. If the numbers matched, we had to say SNAP place out hand on the pile to claim them. The person who lost all their popsticks first congratulated the other for winning. This little game gave us the opportunity to discuss sportsmanship and learning to be a good loser even though you may feel disappointed. Celebrating someone else’s success when well deserved is a characteristic that I would like for her to carry into adulthood. I feel that this little puzzle is going to be revisited frequently. 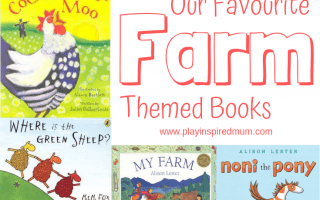 Just goes to show that you don’t always need to go out and buy new things to create play opportunities for your children but recreate the idea to suit the resources you already have. 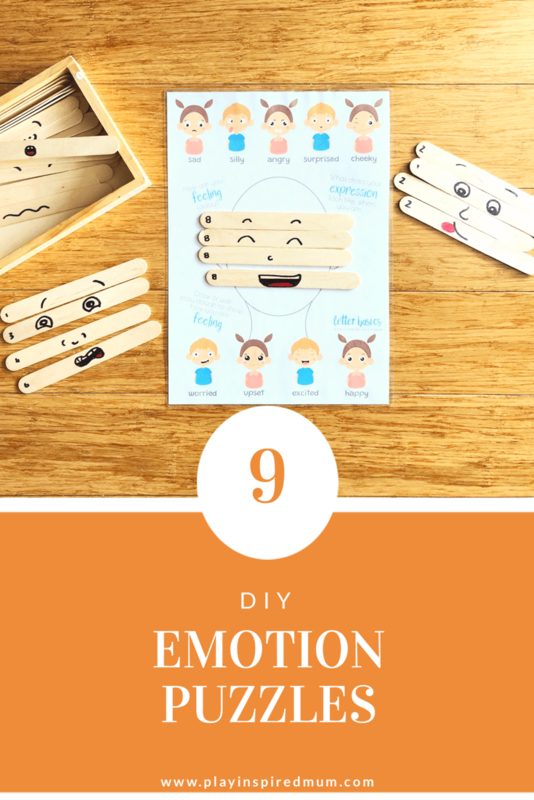 Are you exploring emotions and feelings with your children? 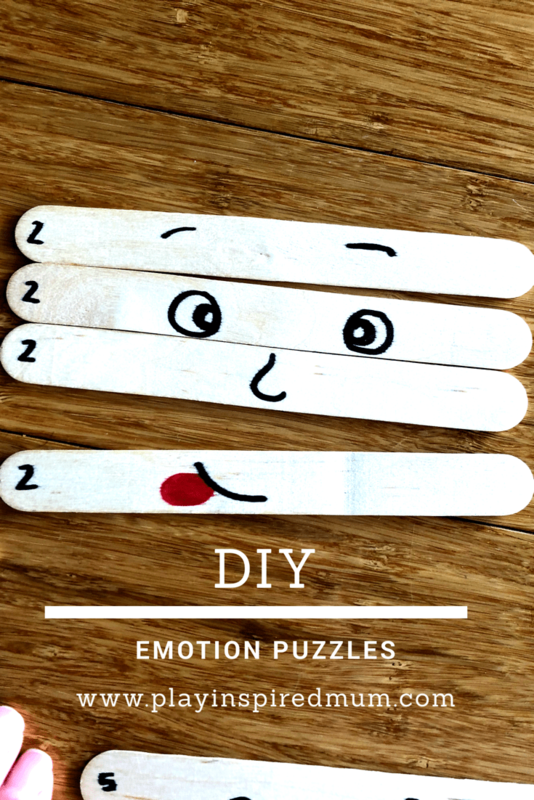 Make it fun with this Emotions Activity Pack!